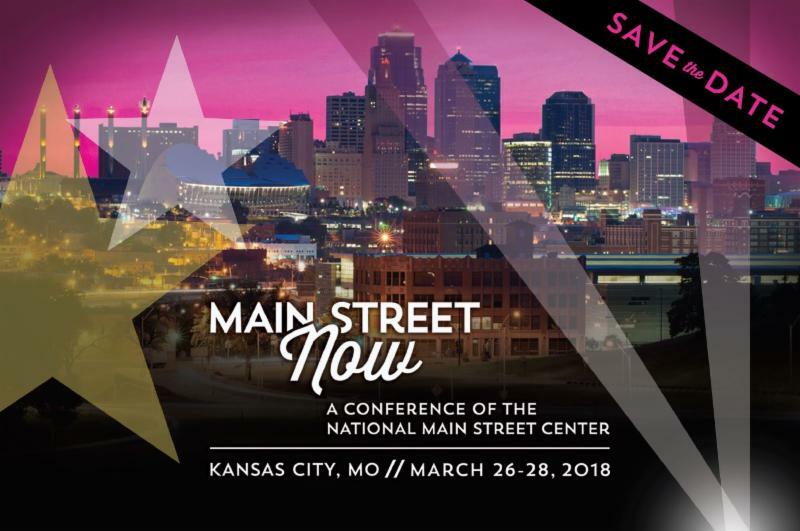 Join us in Kansas City in March for the 2018 Main Street Now Conference. Registration is now open! Discounted rates are offered through January 12. The Main Street Now Conference is the largest gathering of preservation-based economic development and community revitalization professionals looking for real solutions to common problems in downtown and commercial district revitalization. Conference staff and committee members are working now on plans to educate and entertain over 1,600 attendees from across the country March 26-28 for three exciting days of educational sessions, mobile workshops and special events. Visit our conference page, www.momainstreet.org/2018MSN, to find more information about location and lodging, detailed articles about mobile workshops in and around Kansas City, and available sponsorship opportunities.  We need your help to make the 2018 Main Street Now conference a great experience for attendees from all over the country. Volunteer opportunities before, during and after the conference include educational session monitors and mobile workshop assistants plus a variety of other positions that will ensure the conference is a great experience for all attendees. Interested in volunteering and attending? Volunteers who work at least 8 hours receive $160 off a full conference registration! It's the perfect way to experience all the education and networking offered by a conference this size. See all available opportunities and sign up here! 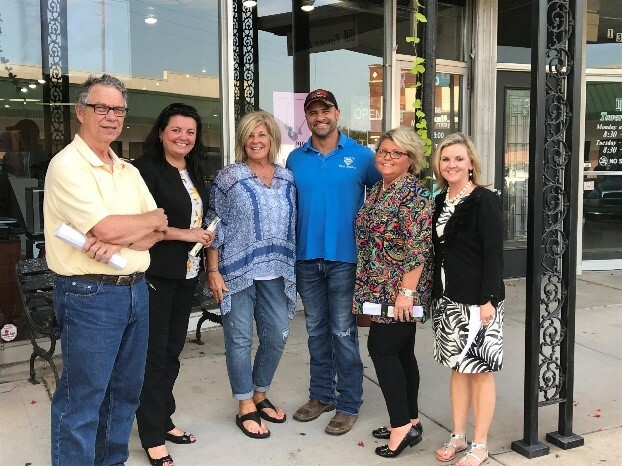 Missouri Main Street Connection (MMSC) was awarded two USDA grants in 2016 to provide training and services through 2018. The Rural Community Development Initiative (RCDI) grant and Rural Business Development Grant (RBDG) allow MMSC to provide specialized training and technical assistance employing economic development strategies to a number of targeted communities in Missouri identified as economically distressed or under-served. The project under the RCDI grant will cover a wide range of topics focused on community and economic development, business retention, micro-enterprise recruitment and community sustainability to help build capacity of recipients statewide. 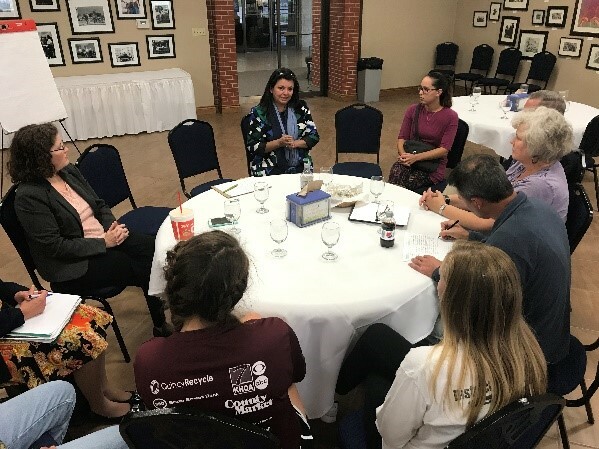 Keith Winge, State Community Development Coordinator for MMSC, and Norma Miess, Senior Program Officer for National Main Street Center, visited Maryville and Canton this past summer providing capacity building assessments and programming to their Main Street programs. 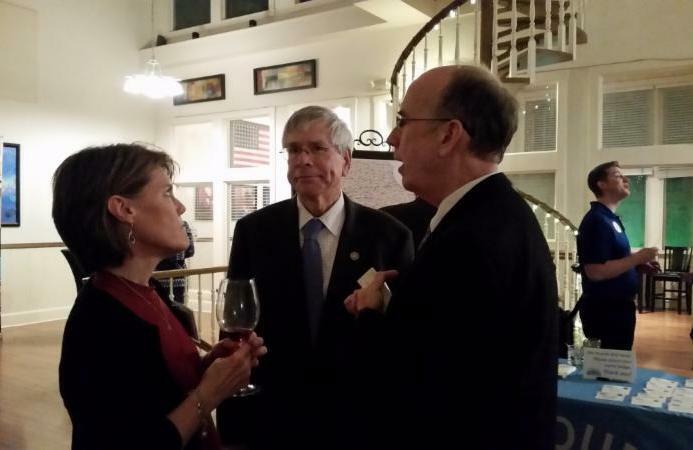 The two visited with community leaders, Main Street volunteers and city elected officials or administration. Further programming will be delivered in 2018. Targeting communities in southeast Missouri, the project under the RBDG will cover a wide range of topics focused on job creation, business retention and recruitment; providing food initiative (farmers market, food co-ops, and community gardens), placemaking and bio-based training (composting). Keith and Norma visited and provided technical assistance to three communities this summer which included Poplar Bluff, Sikeston and Ste. Genevieve. The technical assistance included a walking tour workshop of the downtown district along with providing suggestions for design, engaging the community and business development/job creation techniques. 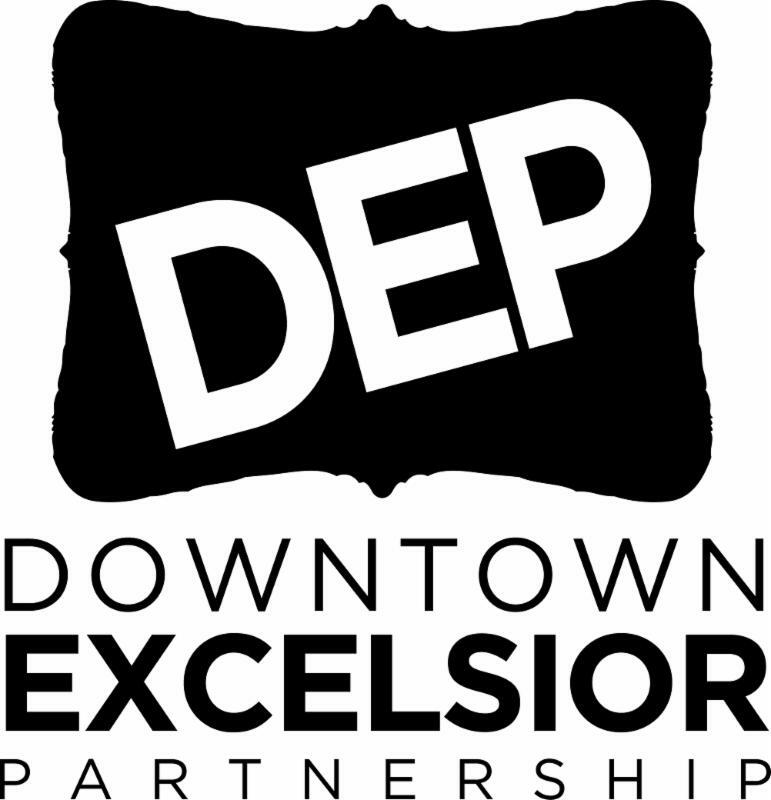 Earlier in the year, workshops were provided for communities interested in starting a downtown revitalization program with more than eight communities showing interest in the Main Street model. Excelsior Springs has landed in the Top 20 out of thousands for possible selection to participate in season 3 of Small Business Revolution - Main Street! The Top 20 is the first of three phases designed to narrow the pool of nominations through a questionnaire and collection of additional information about Excelsior Springs. The Top 10 (second phase) will be announced on December 12. Fingers crossed that the Small Business Revolution team will be visiting Missouri! For more information or how you can help, contact Lyndsey at exec@visitesprings.com . Hats off to Cape Girardeau! 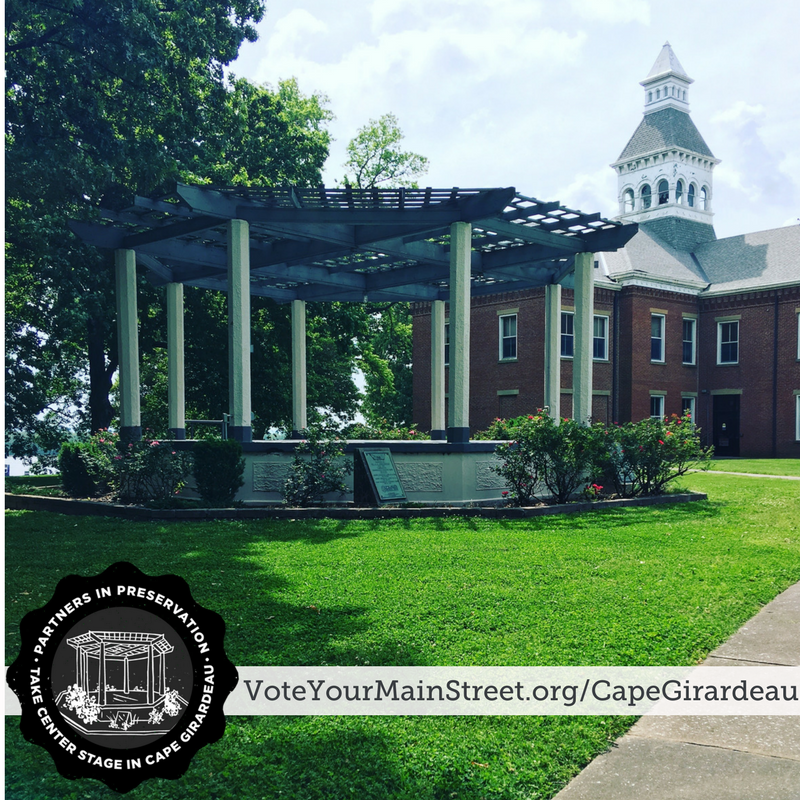 Cape Girardeau recently competed in the Partners in Preservation: Main Streets campaign and was one of 11 communities awarded $150,000 for revitalization and preservation projects. Well done! Cape Girardeau will use the funds to revitalize Ivers Square next to the courthouse. The park was recently renamed to memorialize James Ivers, a former slave and enlisted Union solder from the area. Revitalization plans include restoring the 103-year-old gazebo/bandstand, installing seating, and updating the landscaping and fountain to display the rich history of Ivers Square for the community. Join us on Monday, January 29, 2018, at Revel in Jefferson City to celebrate the people in our communities who are proud to call Missouri home and who work hard to preserve its history and revitalize their neighborhoods. Help us advocate to our legislators the importance of our programs for continued support. 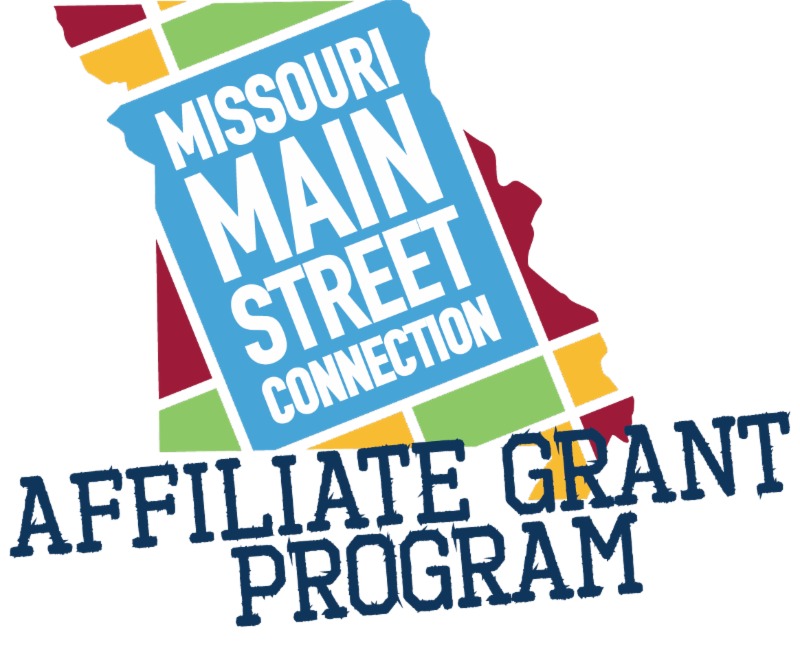 The first Affiliate Grant cycle for 2018 opens February 1 with a free workshop in Jefferson City. If your town has started a downtown revitalization program or is thinking about doing so, the Affiliate Grant may jump-start your plan. RSVP to attend and learn what this 60/40 cost-share grant offers. Missouri Main Street Connection is a statewide, 501c3, not-for-profit organization committed to fostering renewed vitality and sustainability in historic commercial districts across the state of Missouri.